Harley-Davidson’s LiveWire, the company’s first electric design, seemed like a one-off prototype when it appeared in 2014 with a potential $50,000 price tag and a unreasonably low range of only 53 miles. But the bike is very real, and it just made a public appearance at the EICMA motorcycle show in Milan, Italy, where loads of new information was announced. The bike will get power from a permanent magnet electric motor, specifically designed to “produce a tone that increases in pitch and volume with speed.” The idea, we gather, is to have some audio indication of the power the bike is producing, which will make for a more-thrilling ride while also attracting people who might be skeptical that an electric bike can replicate what they like about gas-powered Harleys. The main lithium-ion battery sits in a cast-aluminum housing, with a second 12-volt lithium-ion battery for lights, the dash, and horn. It comes with a Level 1 charger (the typical 110-volt wall outlet), and can recharge with a Level 2, Level 3, DC Fast Charge (SAE J1772), or IEC Type 2 charger for riding outside the United States, which are sold separately. 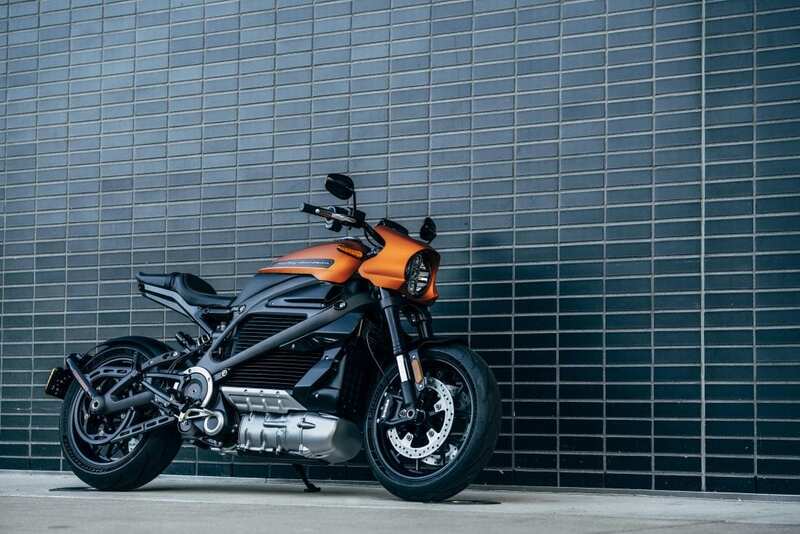 Harley-Davidson says that every dealership that sells LiveWire models will have a publicly available DC Fast Charge station. For brakes, the LiveWire will have Brembo Monoblock front calipers on dual 300mm discs, with antilock braking and traction control standard. It will have seven ride modes. Three are standard (likely similar to Ducati’s touring, urban, and enduro modes), and four more can be the owner’s specific combination of functions like throttle response and traction control. The tech specs for the bike aren’t public yet, but we expect it to match the likes of the latest Zero Motorcycles if it has hopes of being competitive. That is, a version that will go more than 100 miles per charge and weigh less than 800 pounds. The company says that sales will begin in 2019, with preorders starting in January. The LiveWire is one in a new lineup of bikes that are less Sturgis rally and more stylish urban dweller. Harley-Davidson also said it plans to have “a full portfolio of electric motorcycles by 2022.” Consider us optimistic of Harley’s plan to take a company that goes back to 1903 and updating it for the future.